On October 11th 2016, I celebrated my 21st birthday. Unlike every year, for this birthday I wanted to do something different, something other than just partying with my friends and after a lot of thinking I decided to go on my first solo trip! 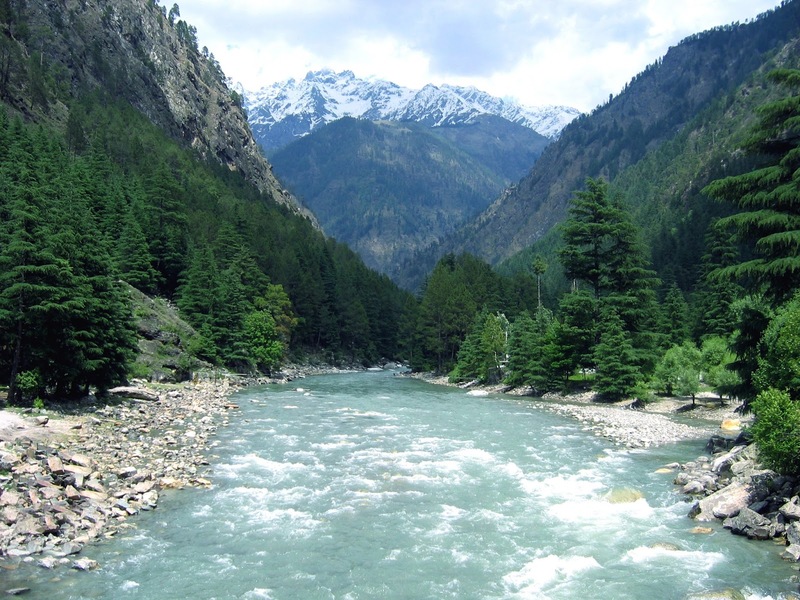 I have done white water rafting in Teesta river at Sikkim before but I have always wanted to try rafting in Ganga. Hence Rishikesh seemed like the perfect destination for my trip! I spent three days in Rishikesh and it was definitely one of the best experiences so far. 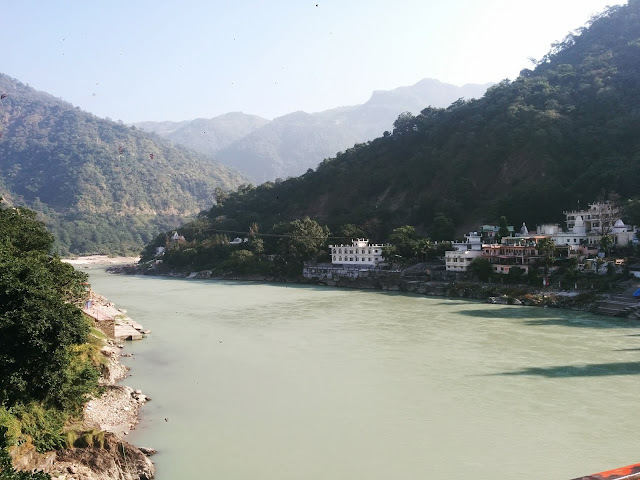 One can reach Rishikesh easily from Delhi by road within 6 hours. Since I had a time constraint I flew from Bangalore to Dehradun via Delhi and traveled from Dehradun to Rishikesh by road. 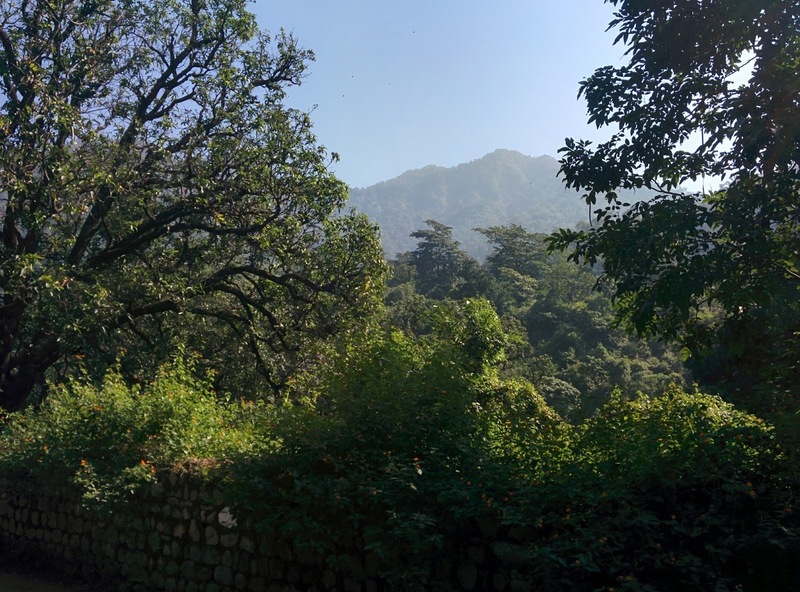 Dehradun is about 40 mins from Rishikesh so overall I reached my destination in half a day. My travel was organized by Trek The Himalayas. They made my entire journey very comfortable and the itinerary was quite flexible which was great. They sent a driver to the Dehradun airport to pick me up. 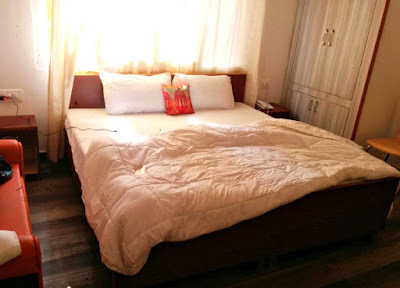 I checked into one of the cutest hotels of Rishikesh, The Lily, which too was picked by my organizer. The Lily is a beautiful hotel in Tapovan. Rishikesh is very tourist friendly with loads of different hotels and hostels. My hotel was a little on the expensive side but you can get a dorm or a room for much cheaper depending on your budget. One of the most famous hostels that a lot of backpackers prefer is Zostel. Right after checking in I decided to take a small nap and instead I ended up sleeping in a little longer than I should have (blame the super comfortable hotel beds) and missed the Ganga aarti. Nevertheless I got out in the evening to have some dinner and explore the area. Lakshman Jhula was quite close from my hotel and I decided to go check that out. Lakshman Jhula is basically a walking bridge over the Ganga. Apart from the people you will also find cows, monkeys and two wheelers crossing this bridge at any given point. On the other side of the Lakshman Jhula lies the beautiful market filled with shops and lots of cafes. I had dinner at this tiny little café called Chatsang Café. Post dinner I was just walking back to my hotel when I ran into two of my school friends which was very unexpected. 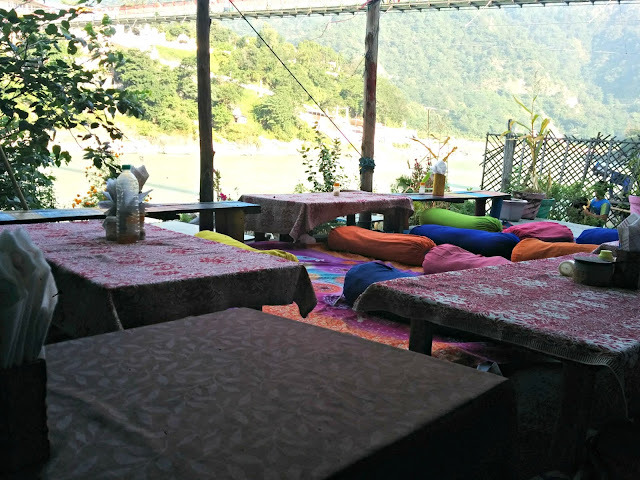 I headed back to another place with them, Ganga Beach Café which slowly turned to be my favorite one. Rishikesh is a city that sleeps early and almost everything closes by 11pm. I walked back to my hotel around 10 pm and even though I was mostly alone on all the lanes I did not feel unsafe for even a second. Rishikesh is very friendly and also very safe for solo female backpackers. My second day had a rather early start. I went back to Ganga Beach Café and had breakfast with an amazing Israeli backpacker who was an engineer as well. The best part about travelling solo is that you get to meet lots of lovely people throughout. Post breakfast I headed back to my hotel from where I was gonna get picked up and dropped to a jungle camp for white water rafting. 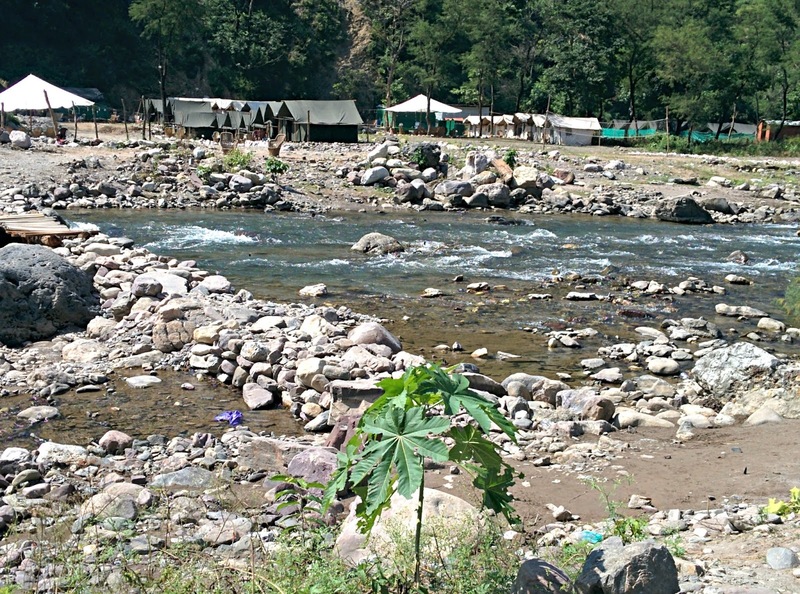 The camps were near a place called Shivpuri which is a short drive from Tapovan (the area where my hotel was). We rafted about 25 kms for more than two and a half hours! I rafted with three other people who were from Delhi. We were just 4+1 in the raft as opposed to 10+1 which made the entire experience all the more thrilling and difficult. I must tell you that white water rafting in Rishikesh is bloody brilliant! I finally got to check that off my bucket list and it was totally worth it. It brought out the adrenaline junkie in me! I have rafted before but this was definitely the best one so far. I was exhausted after rafting and every inch of my body was hurting but it felt amazing. I would recommend each one of you to try white water rafting in Rishikesh if you get a chance! The original plan was to drive back to the jungle camp for the night but I just wanted to go back to Tapovan to see the Ganga aarti so I spoke to my organizer and he instantly changed my bookings. The immediate response from Trek The Himalayas made my stay a lot easier. I was dropped back to my hotel and without wasting any time I headed to Triveni Ghat to witness the famous Ganga aarti called the Maha aarti. Triveni Ghat is the most important and sacred places in Rishikesh and it is the confluence of the three sacred rivers- Ganga, Yamuna and Saraswati. To reach the ghat one has to cross Ram Jhula (similar to the Lakshman Jhula) and walk a little further. As soon as I reached Ram Jhula I met a wonderful Brazilian couple, Rasa and Edson. Rasa was a Krishna bhakt and she has been coming to India for many years. I watched the Ganga aarti with them. Watching the aarti was one of the most spiritual experiences that I have had till date. It was so soothing and peaceful. I didn't take any pictures because I was so mesmerized with everything that was happening. This trip made me realize that it is true that the best moments are the ones that have to be felt by your heart and cannot be captured in cameras. I had some great conversations and a delicious dinner with this lovely couple at another new place called Ganga View Restaurant. 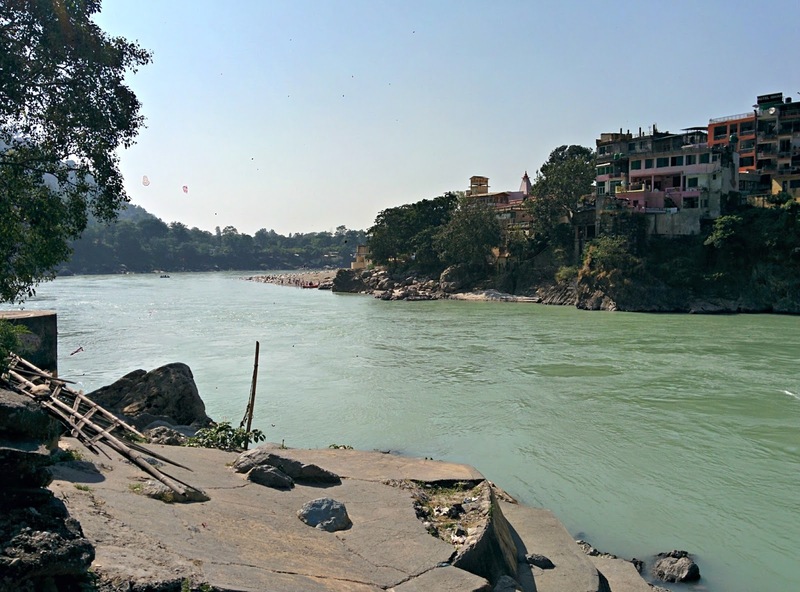 This was my last day in Rishikesh. I walked around this adorable city and met more incredible people at different eateries. I had lunch with two Italians who were travelling across India for the past 8 weeks. I also happened to shop a little bit on this day. By now I was quite familiar with the area and I just didn't want to leave. I went to the office where I was going to get picked up and dropped to the Dehradun airport for my flight. It was indeed a very short trip but that was only because I was travelling solo for the first time and I had a lot of apprehensions. 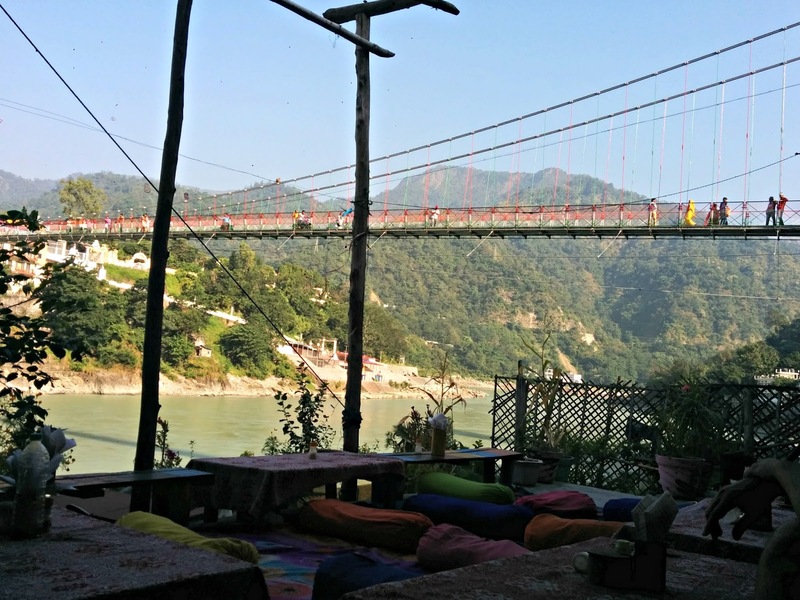 I will definitely go back to Rishikesh soon and this time for longer. I missed out on the Beatles ashram and bungee jumping which gives me enough reason to go back! Travelling alone really does open up your mind and it is a wonderful experience. Figuring out everything by yourself gives you a great chance to discover and understand yourself better. I highly suggest each one of you to go on a solo trip once. I promise you wouldn't regret it. And if you are a little concerned how I was then you should sign up through an organization like Trek The Himalayas to give you assistance! Thank you aunty! It feels great that you loved it so much! Hello, I am thinking of booking at The Lily hotel. Can you tell me if there is a riverside view and if you can provide more photos of the hotel that would be great. Given that I am looking for a premium stay, is this the right hotel for me or should i opt for something else? The Lily is great for a premium stay. It's quiet and the staff is very friendly. Although it doesn't have a river view but it makes up for that by being just 5 mins away from Laxman Jhula. I personally prefer The Lily over hostels and other hotels due to its cleanliness. And the food in the restaurant above is also very appetizing. The have a spa in the hotel as well along with a meditation room! I'm afraid I don't have more pictures but the one above is my room. Hope this helped. Have a lovely trip :) rishikesh is beautiful. Irrespective of where you stay, you'll love it!